Samsung is experimenting with many things on and off and because of this reason, it has become one of the most widely used Android devices globally. 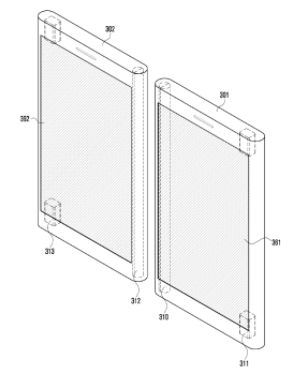 Just recently after so many rumours, Foldable Samsung device is near and at the same time, we have come across a Samsung dual screen phone patent. 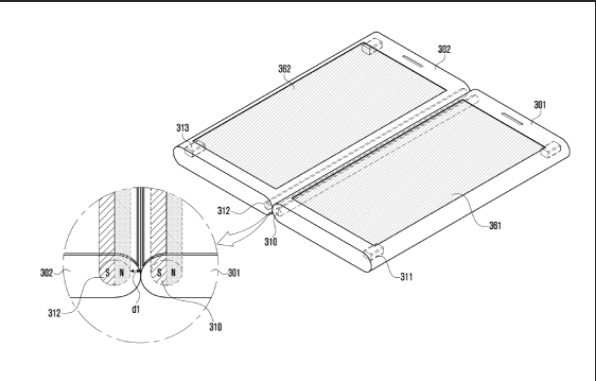 The patent application filed by Samsung shows a dual screen phone and is named as “Electronic device with two display devices and method of operating”. 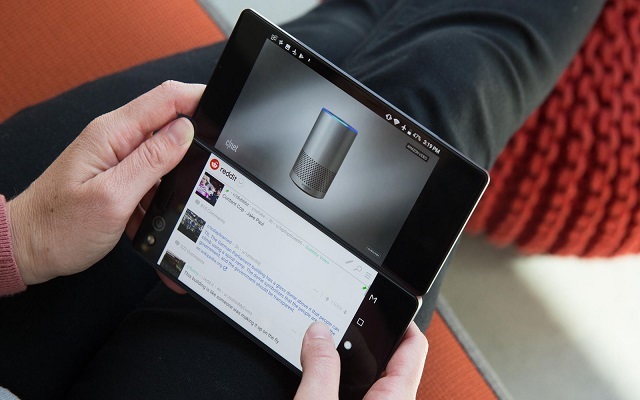 The best thing about the Samsung dual-screen device is that it both the screen can be detached and can also be operated independently. Both the screen are attached together with the help of magnets that joins both sides together. This patent was filed to World Intellectual Property Office. Devices can be attached side by side by using cylindrical-shaped magnets. 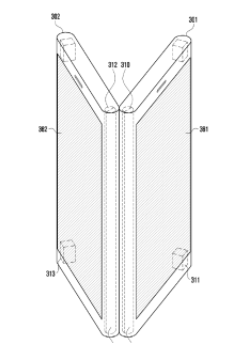 In this orientation, the phone will look large just like the foldable device. I will definitely buy the device with this sole reason that on one screen I will watch movie whereas I will use the other one for texting. One can also take the selfies from both separate devices. 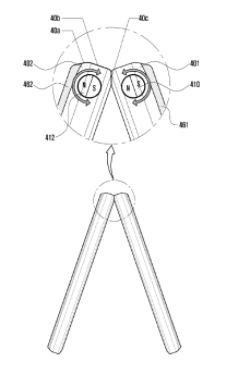 Let see when this patent will turn into reality. Meanwhile, Samsung has launched the Galaxy A8s back in December. Since then, the phone was only available in China. However now, the company is planning to bring Galaxy A8s in other markets too.